CDC said a second accident occurred earlier this year when a culture of non-pathogenic bird flu had been cross-contaminated with the highly virulent H5N1 strain of bird flu before being shipped to a USDA facility. Photo courtesy of Shutterstock. Along with its update on a June incident involving anthrax, the Centers for Disease Control and Prevention (CDC) reported on Friday that a culture of non-pathogenic bird flu had been cross-contaminated with the highly virulent H5N1 strain of bird flu at its influenza laboratory earlier this year before being shipped to a facility operated by the Department of Agriculture. There were no exposures as a result of this accident. However, the CDC has issued a moratorium on the transfer of infectious agents (active or inactivated specimens) among BSL3 and BSL-4 facilities and closed the influenza laboratory. Further still, the agency said Bioterrorism Rapid Response and Technology (BRRAT) Laboratory scientists will not be conducting work or have access to select agents — ­toxins and biological substances that pose a severe threat to public, animal, and/or plant health — until a series of reviews and approvals are completed. With regard to the June anthrax incident at its Roybal Campus in Atlanta, the CDC said none of its staff has become ill with anthrax. The agency also concluded it is extremely unlikely that personnel had been exposed to viable B. anthracis. Originally, it was feared 75 people had become exposed when scientists failed to follow proper procedures to inactivate the bacteria before transferring samples to lower-security facilities. Based on its internal review, CDC decided the scientists’ failure to follow an approved, written study plan meeting laboratory safety requirements led to dozens of employees being potentially exposed. The CDC also found a lack of standard operating procedures to document when biological agents are properly inactivated in laboratories as well as a lack of adequate oversight of scientists performing work in these labs. 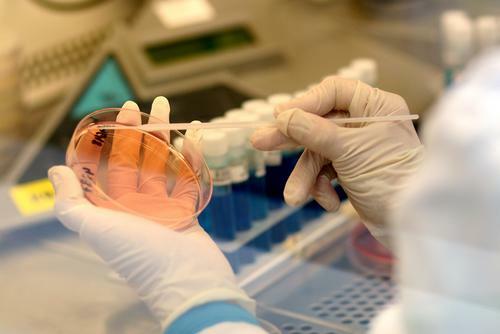 In addition to halting all transfers of infectious agents, the CDC has established a working group to accelerate improvements in laboratory safety. Reporting to CDC director, the working group will also approve, on a laboratory-by-laboratory basis, resumed transfer of biological materials outside of BSL3 and BSL4 laboratories. Additionally, a CDC-wide single point of accountability for laboratory safety will be established and an external advisory group for laboratory safety will be formed. CDC stated it is carefully reviewing all inactivation procedures for laboratories working with select agents and other dangerous pathogens; these procedures will be updated as needed. Further investigation of the influenza laboratory accident is currently underway and until adequate procedures have been put in place, the CDC said it will not reopen that laboratory. The agency also noted it will take appropriate action with respect to its personnel.